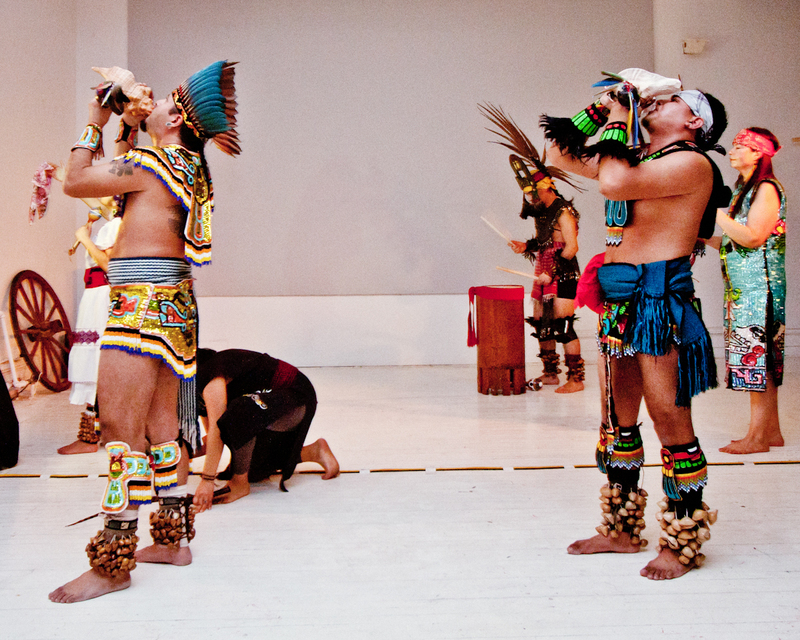 The Clocktower Gallery presents an evening featuring an Aztec dance ritual by Sunset Park-based group Huehuetlatolli, along with an introduction by film and art producer John Morrow, exploring concepts of tradition and heritage in the context of the gallery setting. 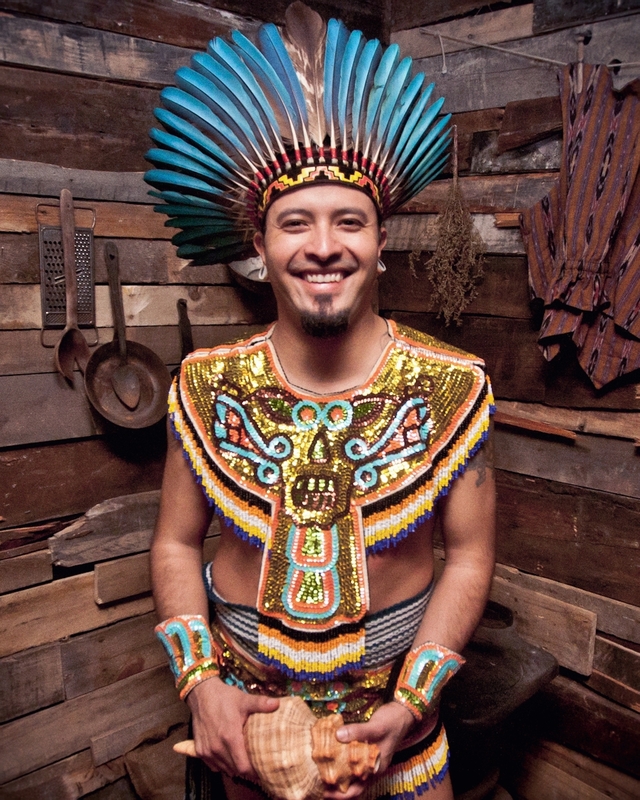 Huehuetlatolli is a group of Sunset Park residents who have been exploring their heritage through dance Aztec dance troupe, with the help of local arts organization Buendia Brooklyn. The name is derived from the an Aztec phrase meaning "The sayings of the old," and represents a new phase of the group, who was originally called Atl-Tlachinolli, whose name comes from a glyph representing the Aztec symbol of war, or "burning water." You can view a video of a previous Atl-Tlachinolli ritual here. John Morrow discusses the notion of context in relation to performance space, drawing on his experiences in theater and art production. He holds a Master’s degree in Cinema Studies from NYU Tisch School of the Arts and has produced shows at Asia Song Society, the Toronto International Film Festival, MoMA PS1 and Performa 2011. Currently, Morrow works as James Franco’s art manager and producer. 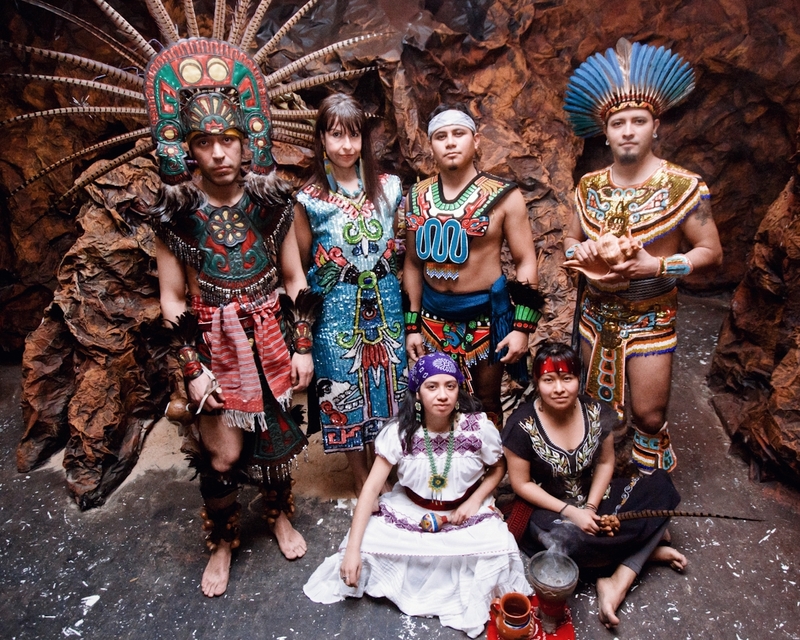 Huehuetlatolli dance troupe posing inside the Canyon Candy exhibition. Shot by Joe Perez.